University of California Press, 9780520241985, 327pp. Energy shortages, climate change, and the debate over national security have thrust oil policy to the forefront of American politics. How did Americans grow so dependent on petroleum, and what can we learn from our history that will help us craft successful policies for the future? In this timely and absorbing book, Paul Sabin challenges us to see politics and law as crucial forces behind the dramatic growth of the U.S. oil market during the twentieth century. 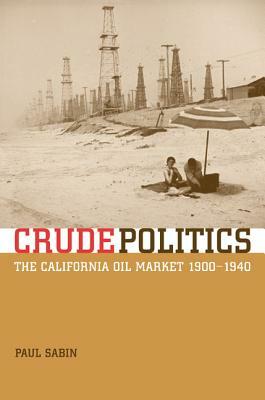 Using pre–World War II California as a case study of oil production and consumption, Sabin demonstrates how struggles in the legislature and courts over property rights, regulatory law, and public investment determined the shape of the state's petroleum landscape. Sabin provides a powerful corrective to the enduring myth of "free markets" by demonstrating how political decisions affected the institutions that underlie California's oil economy and how the oil market and price structure depend significantly on the ways in which policy questions were answered before World War II. His concise and probing analysis casts fresh light on the historical relationship between business and government and on the origins of contemporary problems such as climate change and urban sprawl. Incisive, engaging, and meticulously researched, Crude Politics illuminates an important chapter in U.S. environmental, legal, business, and political history and the history of the American West. Paul Sabin is a senior research scholar at Yale Law School and executive director of the nonprofit Environmental Leadership Program. He has taught U. S. economic and environmental history at Yale University and the Harvard Business School.